Hello Everyone! Did you think I fell off the face of the earth this week? I'm sorry for being so absent. I told you last week that I had to take an emergency trip to Texas to help family. 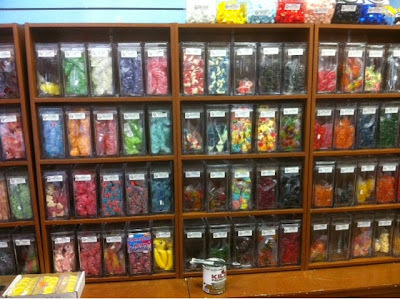 My parents health isn't too good and they finally got word that they could re-open their candy store in the mall, so I came rushing down here to do all the heavy lifting and moving. 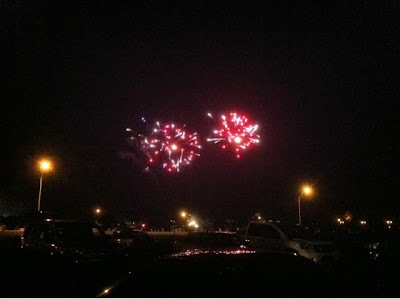 But we finally got things done in time to rush out the door and see the fireworks last night. Wow. If you ever are in the Abilene, Texas area on the fourth of July, definitely make it a point to watch their fireworks show. It was probably the best show I've ever seen. And now I'm off to help with the Chocolate Box's grand re-opening today. Hopefully it won't be as hard on my poor, tired body and we can get back to having some fun. In the meantime, I hope you have some great projects to share with my co-host Pam from Pam's Party and Practical Tips and I. We can't wait to see your fun ideas.